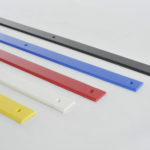 GripnGo’s are made of quality steel and are powder coated in white. 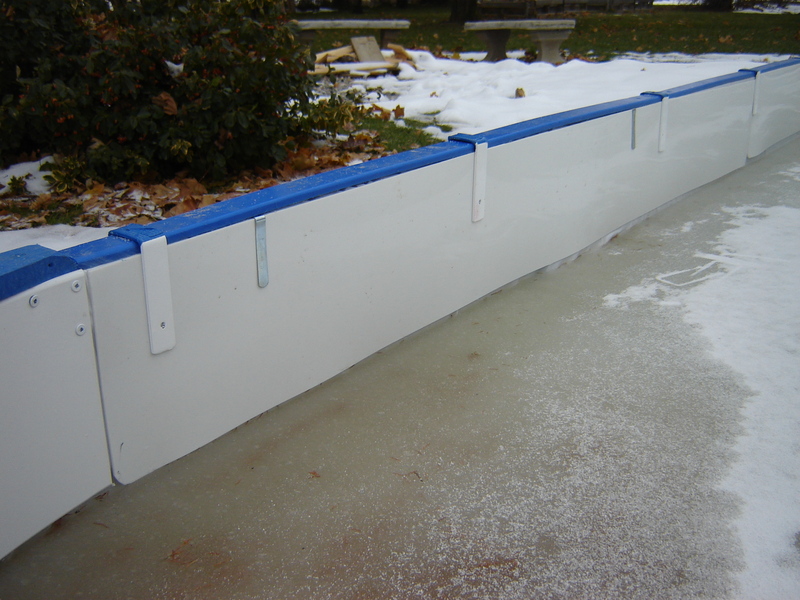 The purpose of a GripnGo is to attach to your rink frame and your L.P.S and/or T.E.P. holding all in place with no screw holes or punctures of any kind in your liner. This assists you in the preservation of your liner for a few seasons and gives you that high end finished look without the high end cost. Each pack contains 8 white GripnGo’s. The size is approx. at 4″ x 1.5″ x 4″ and 1″width and are designed to be pinched together to tighten your grip if need be. They are made of steel. 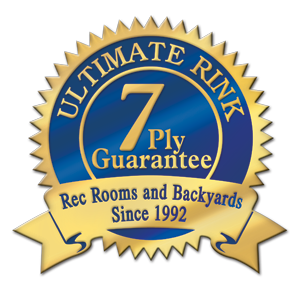 “UR” Ultimate Rink team has done it again! 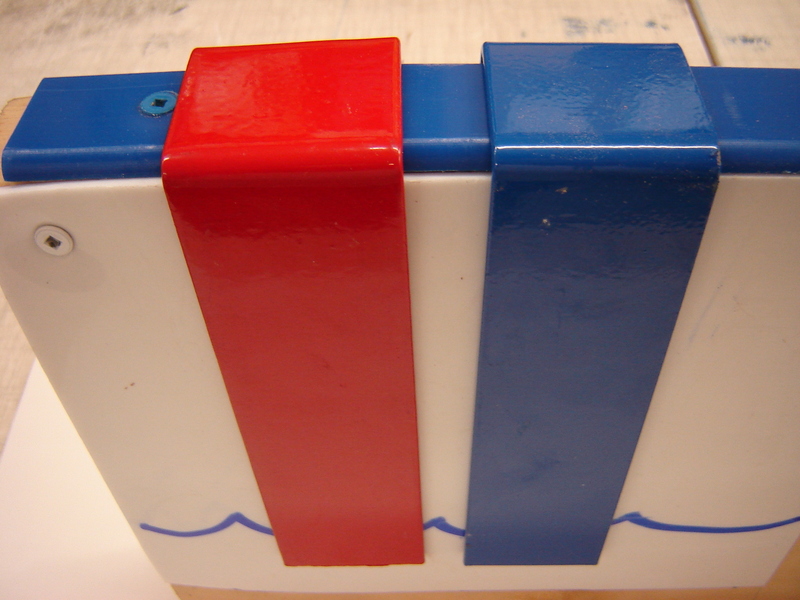 We have finally come up with a way for YOU “the hockey rink enthusiast” to get the red and blue lines you need to complete that professional look you crave, without the problematic ice melt by adding blue lines and red lines in your ice. 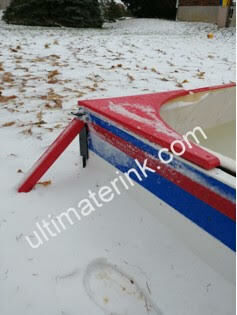 This innovative idea follows our rink product accessory strategy of items with multi functional uses. 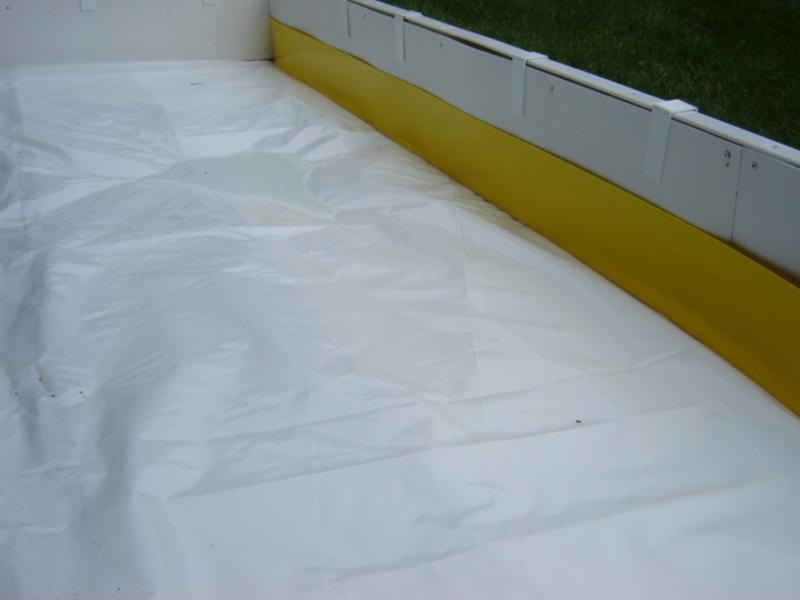 Not only does it help to fasten you liner and LPS into place, but it also gives you the hockey red and blue lines on your boards. No more stress with ice melt. Once these GripnGo’s are set it place, the work is done for the whole season with no complications. Good times come with red lines and blue lines! Every stride is a smile. This product is best used on the following LPS sizes: 4″, 6″ and 8″. Shown here we have added liner clips in conjunction with the GripnGo. 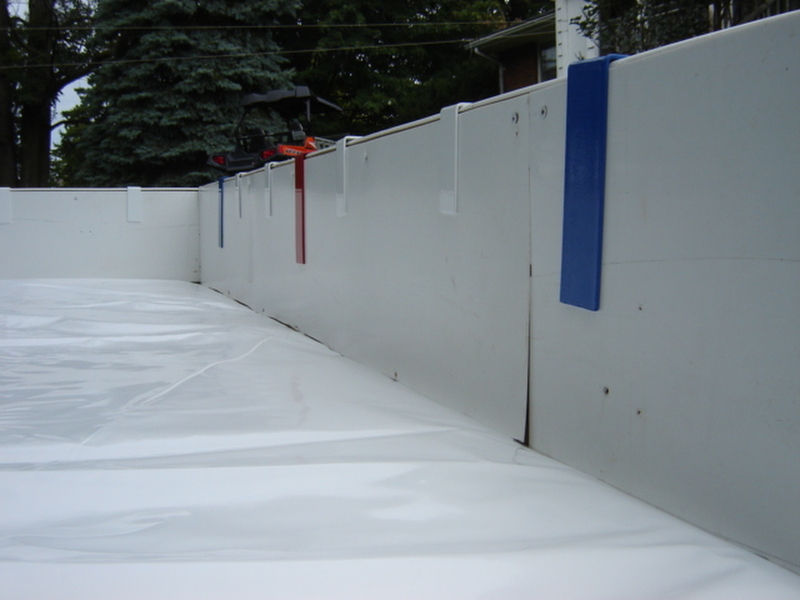 The placement is usually every 3′ – 4′ with liners clips placed strategically between if needed. The size is approx. 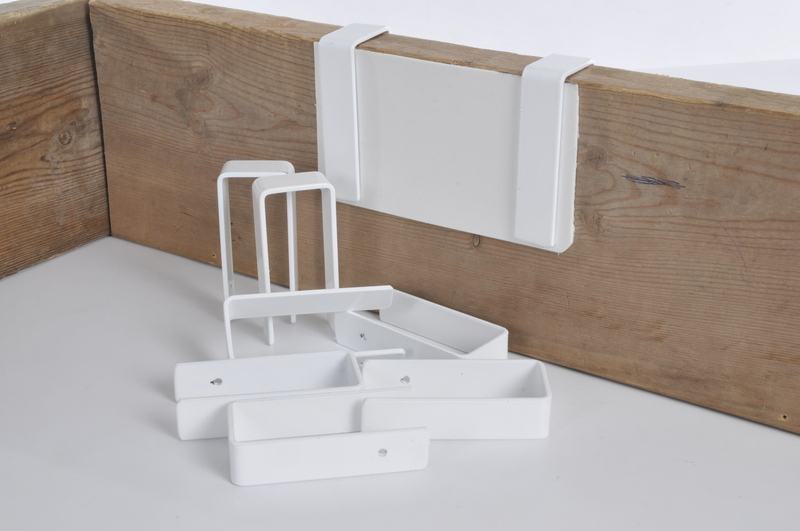 at 4″ L x 1.5″ W and are made of quality steel and powder coated in white. 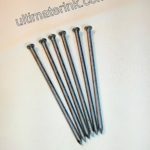 They are designed to be pinched together to tighten your grip if need be. Paint the top to match your T.E.P. 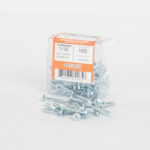 if you so desire and complete your personal touch with no screw holes. Each 8 pack will consist of 2 wide GripnGo’s for Liner Protection seam and 6 regular size. Another improvement by your Ultimate Team. This is a “Presto Install” item. What is “Presto Install”? 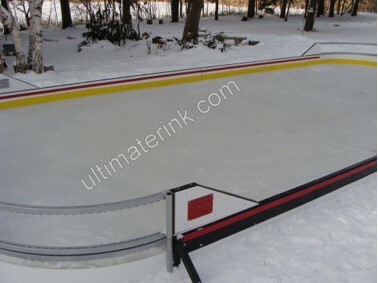 It is an Ultimate Rink fast set up accessory to help make your Ultimate Rink dream a reality. 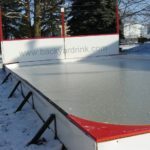 “Real Rinks for Real Yards” Make it happen! GripnGo Red Line/Blue Line comes in pack of 6 and consist of 4 blue and 2 red. The size is approx. at 7″ L x 2″ W and fits over any 2″x wood framing. Just like the white GripnGo’s, the red line/blue line are powder coated and are designed to be pinched together to tighten your grip if need be. (See product gallery on this page).